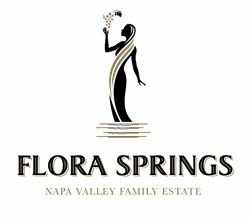 Flora Springs Winery & Vineyards is family owned and operated, committed to hand-crafting artisan wines of distinct style and superior quality. Our wines, and the manner in which we operate reflect our understanding of tradition, our tireless quest as innovators, and the spirit of our Mother and Grandmother Flora, who was always gracious to her community, demanded excellence and lived with a twinkle in her eye. We exist not only for the traditional purpose of business, but beyond that, to enhance the lives of our customers and improve the quality of our community. We are the proud steward of 500 acres of land in the Napa Valley that are farmed using both sustainable and organic practices. We support the farmer and the farm worker. We are committed to making a positive impact on the world one bottle of wine at a time. With its prime location in the Napa Valley, our contemporary and sophisticated Room is a distinct contrast to its surroundings. Flora Springs, The Room welcomes guests to experience a more hip, modern way of tasting wine. Food Available: Atop of The Room, the outdoor sitting area may be booked for groups of 40. To join the wine club, visit www.florasprings.com or call 707-963-5711. Complimentary Signature tasting and 10% off on wine purchases. Monday - Thursday only. Excludes holiday weekends and special events. Groups of 5 or more require a reservation. Valid for Napa resident and one guest with proof of residency.